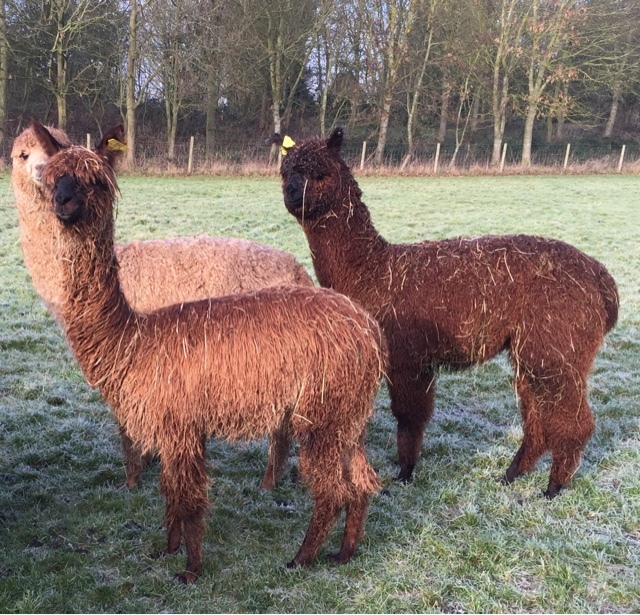 These dry cold days of winter at TOFT are ideal for the alpacas. Somehow they all look a lot more grown up as the dark days of winter begin to recede. It's probably the 4 inches of fleece they are carrying which rounds off the picture. 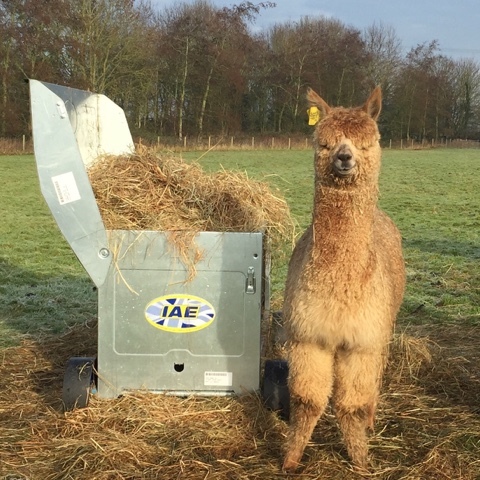 At TOFT Whenever the weather allows we get the hay feeders open first thing in the morning and close them at dusk allowing the alpacas access to plenty of easy chomp all day long. There's not a lot of nourishment in the grass at this time of the year so the more chomp we can get down them the better. Happy dry day.....phew! BAS National only a week away. The National show is only a week away and as luck would have it we have hit a dry cold spell this week at TOFT. The alpacas love every single minute of it. These are some of our TOFT Intermediate boys who were practicing their 'strut' in the cold walking up and down the fence line showing off their masculine presence trying to impress the wee weaner females who were feeding at the time on the hard standing. Their fleeces dry real quick in this weather and the cold makes their follicles 'ping' and they truly look magnificent in these kind of conditions. We shall be penning the show team up in the shed as soon as the weather looks like turning. Our elite boys and girls deserve to look their best next weekend at the showcase of the year. 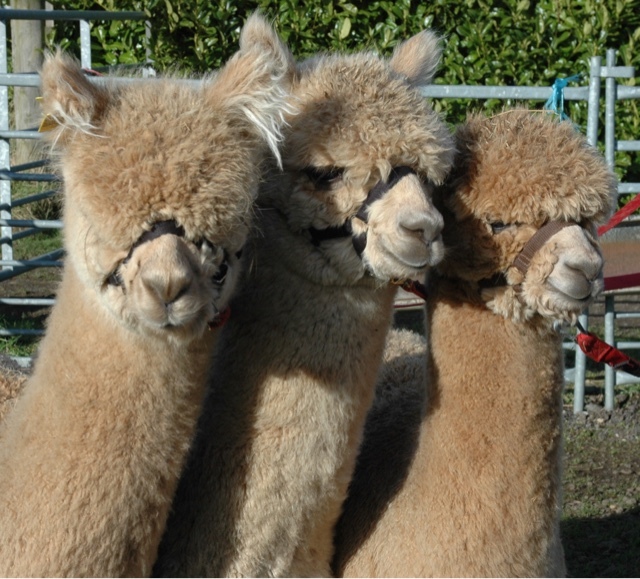 The British Alpaca Society National Show 2016 at the Internatinal Centre Telford. Friday and Saturday 8 am onwards. Let's hope TOFT do well, certainly the show team have a look and feel about them- we shall see. Gorgeous hour this afternoon putting the large flag tags and microchips in the last of the weaners. At TOFT we always use small trainer tags at birth to manage our Cria. Then when they are weaned at six months we replace these with their adult flag tags and microchip all the offspring for identification. Couldn't have got a better afternoon to finish off the job, bright sunshine on a cool crisp day the colours just make you smile. 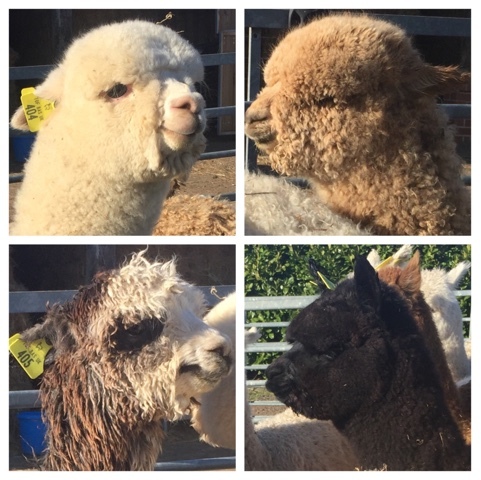 I couldn't resist snapping off a few shots to share the beauty of TOFT alpacas. Caught the TOFT T Team in the sun this weekend and couldn't resist sharing this picture of these stunning sons of Lavender Park Tulley. T Team? TOFT Toranaga, TOFT Tamburlaine and TOFT Tambo. All sons of Lavender Park Tulley- get it? 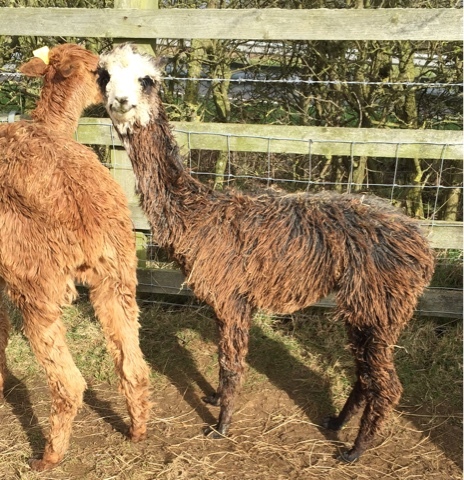 All these boys should start working this year and are now looking for discerning alpaca owners who want to add some superior coloured genetics to their alpaca breeding program. 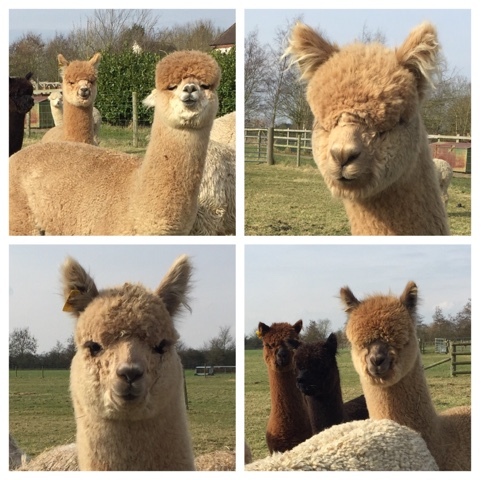 The TOFT T Team are all for sale so if you want to take a closer look at these beautiful Lavender Park Tulley boys, then please remember we shear in the second week of May so there's only a couple of months to see fleece and alpaca together. The TOFT Studio and TOFT Coffee Shop is open Wednesday through Sundays. So if you'd like to combine your visit with some coffee and cake then please get in touch. See you soon Rob & Shirl. Thus is Lord Earl Grey posing for the photies this morning in the wind. He's a 7 month Old Grey Suri. We rarely get a grey anything in the TOFT herd anymore as we breed for pure colour to produce a predictable pallette from which to blend our yarns. This boy's father was a solid dark brown Suri called Solsitice who although not the finest had lustre in spades. His mother is stood beside him here. She's a very fine dark fawn girl with a slight touch of white on her nose. 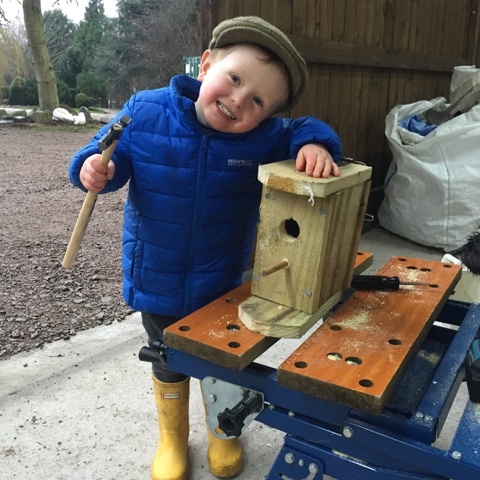 This boy is a lot finer that his father which he must have got from his mother along with a great deal of density but he has lustre in spades which is definitely his fathers bequest. So all in all he's a tidy wee boy and a bit of a character at the moment. Will he grow to be a stud? Maybe not but whichever way his fates decide he is certainly destined to adorn someone's pet paddock with a bit of colour. We have a lot of award winning Suris at TOFT in various colours. We have been breeding Suris for well over 12 years. We have a lot of girls pregnant for this coming season at very competitive prices with great discounts for multiple purchases. If you are seeking pedigree Suris to increase your herd or if you would like to start up with Suris as opposed to huacaya why not get in touch and come and see what TOFT Suris have to offer. 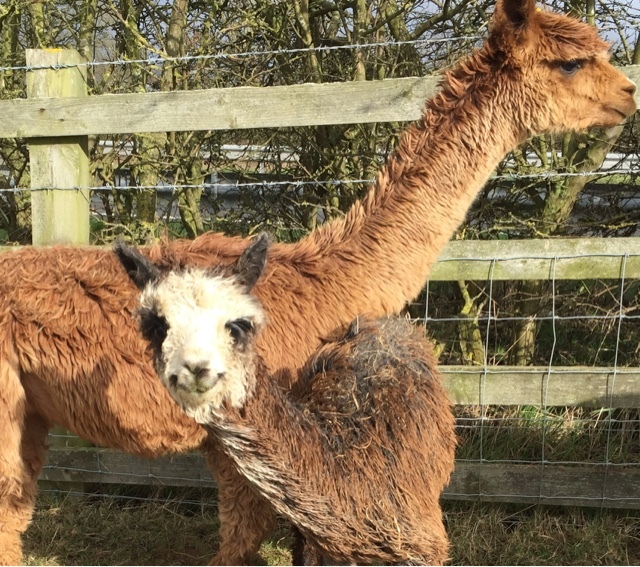 Yesterday was a bit if a sad day at TOFT unfortunately, when one of our females aborted her Cria at 5 months. 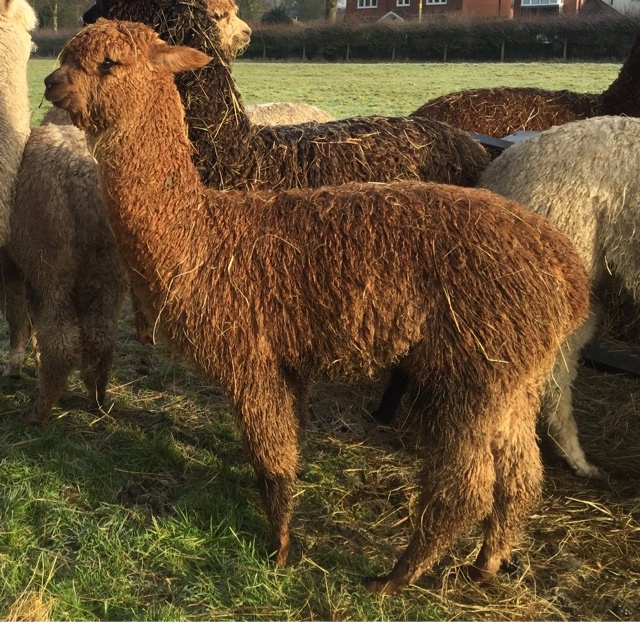 It's the first time ever we have witnessed one of the girls losing her Cria during the winter. We do naturally lose a couple of pregnancies overwinter sometimes early, rarely late. February time is always the hardest for the herd. 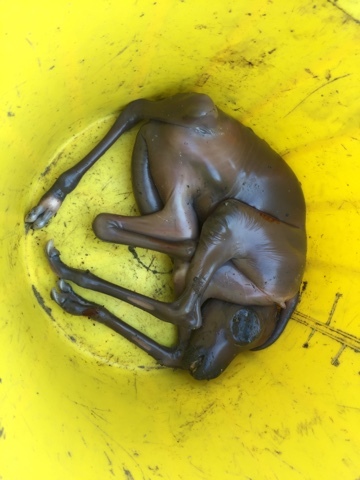 We rarely find the pheotus but with around 60 pregnant females per annum it is inevitable that with the joys of livestock ownership come the random invasion of the occasional sadness. 'Twas ever thus. The rest of the herd are solid as a rock and with a bit of luck the weather will turn soon and the happy days of spring will be among us. Alpaca has finally made it into Sainsburys...Celebrate and donate!!! Not in the traditional sense as chops thank goodness but here, on the side of a mug being sold for sports relief. To think it is but 19 years since the UK first embraced this amazing animal. 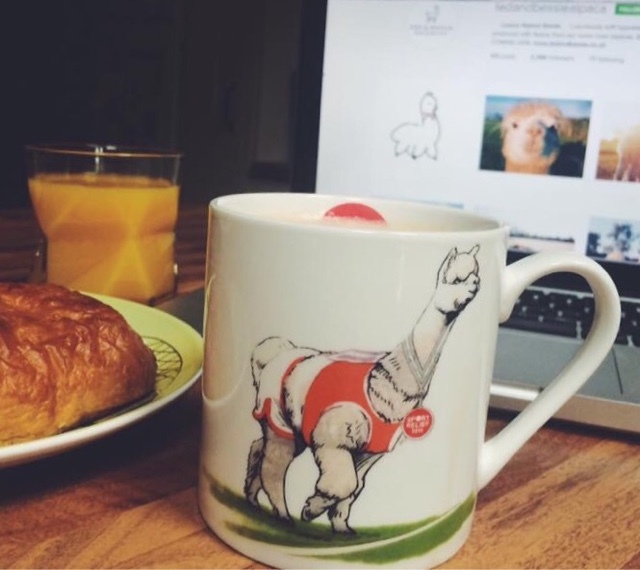 We at TOFT have spent most of that time explaining to the uninitiated what they are , suddenly in the past couple of years alpacas have become mainstream. 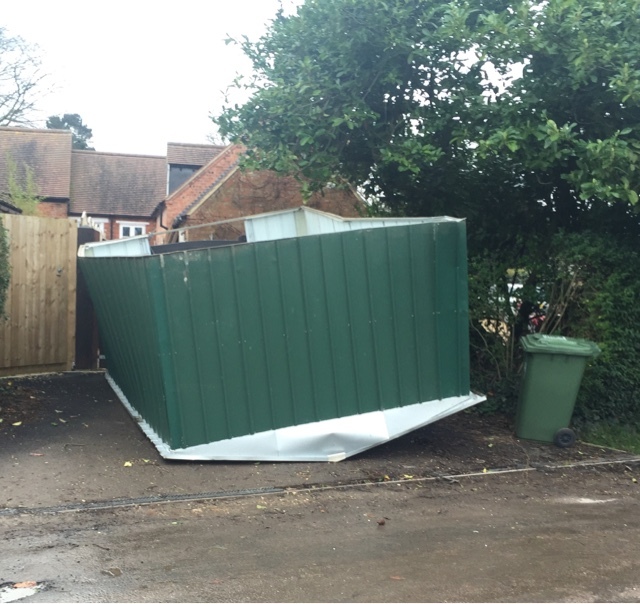 The first part of our job is now done and TOFT are honoured to have played a little part in that amazing journey. Well done sports relief, well done Sainsburys once I get one of these at TOFT I'll drink to you all!
" Look at the sports relief mug this year! I got this one from Sainsburys, love it! £1.50 from each mug sale goes to sports relief."